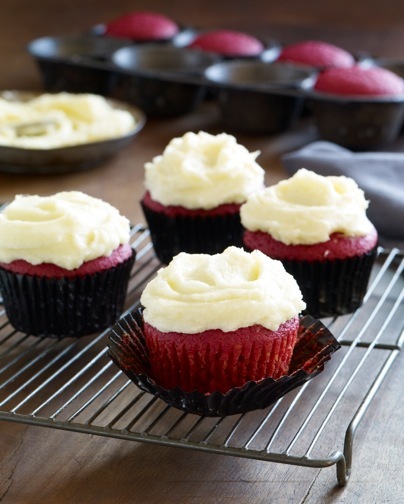 I tested the recipe with canned beets and the color is drab and faded, but given how easy it is to roast beets this simple step can be done while you measure and prepare the ingredients for the cupcakes and buttercream. I finely chop the roasted beets and then puree them in a food processor. It is important to let the machine run for a couple of minutes, scraping down the sides of the workbowl once or twice, until the puree is completely smooth.